From the moment you enter Forest Lake Village, your eyes will be delighted. Everything is so colorful that it spells “Florida” in the true sense of the word. Pastel-colored homes present a pretty picture on their green-grassed lots. Well-lit streets and sidewalks add to the charm. Catch the sun’s rays rays glimmering off the lake’s placid waters and see the homes and trees in the background. Stay a few moments at the lakeside fishing pier and you may see a resident bringing in one of the large mouth bass and other fighting finny fellows that await your angling skill. 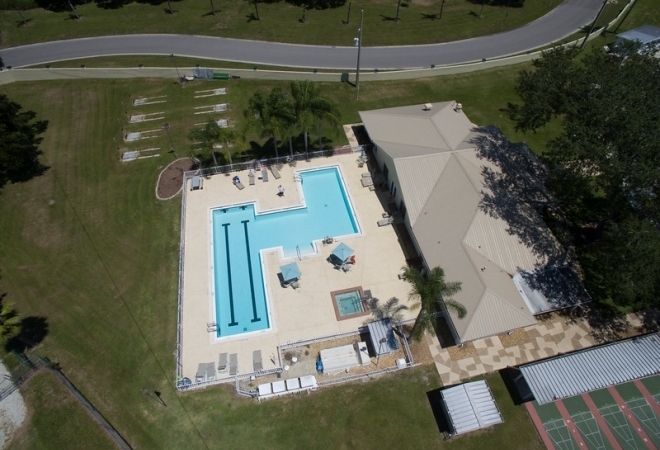 Visit the clubhouse with its swimming pools, sun deck, and Jacuzzi. The clubhouse also includes tennis courts, shuffleboard courts, horseshoe pits, and facilities for meetings, parties, dances, cards, arts and crafts. Forest Lake Village is the relaxed, suburban Tampa, Florida lifestyle you’ve been waiting to find. It’s like being on vacation year-round where you live among friends in beautiful surroundings.